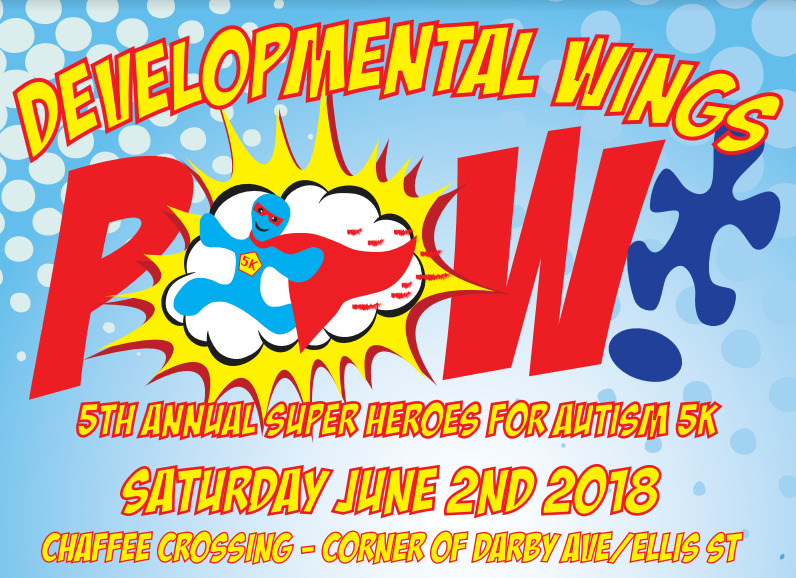 **5K is USATF Certified** Developmental Wings will host the Super Heroes for Autism 5k and 1 Mile Fun Run on June 2nd, 2018. 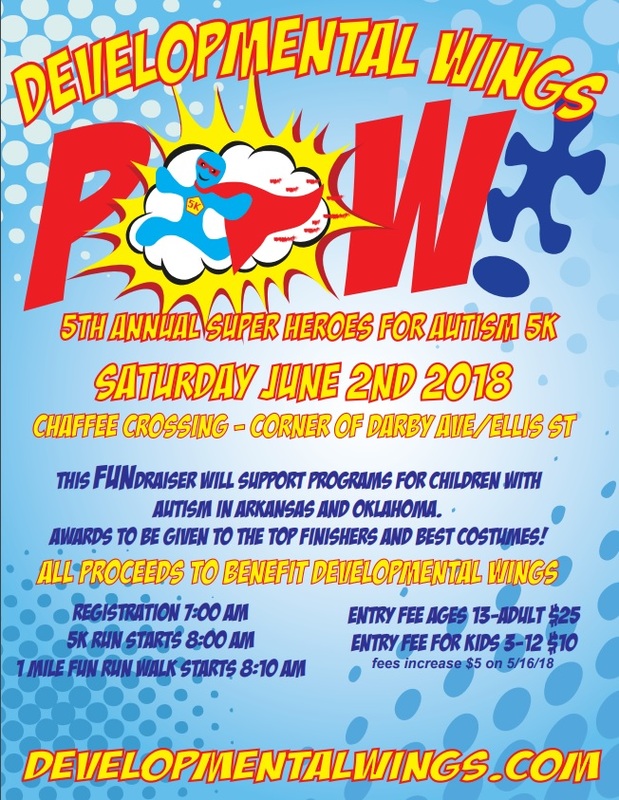 This is a great excuse to dress up as your favorite super hero and raise money for our programs. Early Registration is available now through May 15th and guarantees a t-shirt for each participant. Late registration is available May 16th through June 1st. The race will start at 8:00 a.m. at the corner of Darby Ave/Ellis St in Chaffee Crossing. Race day registration will begin at 7:00 a.m. We will offer early packet pick-up on June 1st from 5-7 pm at Creekmore park. There will be medals for the top male and female finishers and age group awards. There will also be prizes for best costume in individual male and female (adult and children) categories and prizes for the best "TEAM" costume!